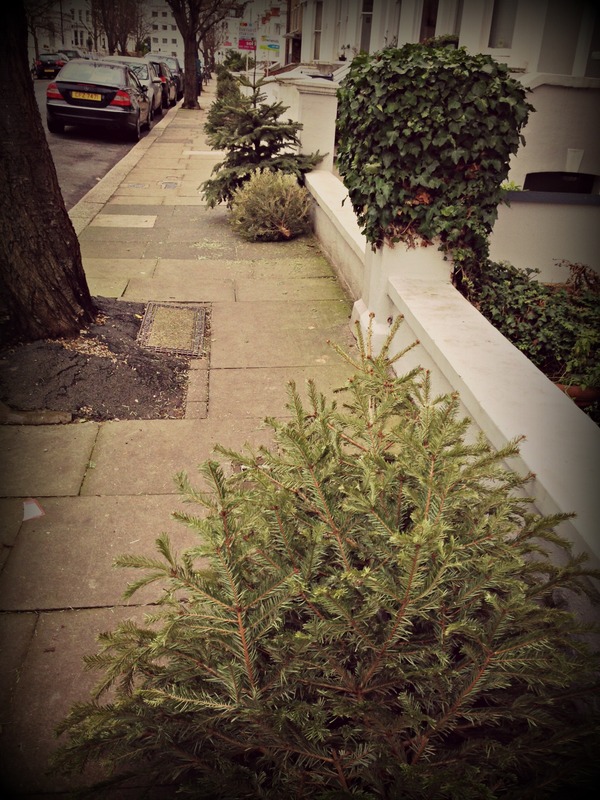 We’re a week into the new year and already resolutions have been quietly forgotten, abandoned Christmas trees lay strewn across grey city streets like an apocalyptic scene from The Walking Dead, and we’re eagerly wishing away the winter and longing for spring’s gentle touch. For now, it’s all about wrapping up warm, eating comfort food and drawing up plans and seed lists for the upcoming months. I often have visions at this time of year of gardeners heading down to their sheds which have been converted into military map rooms. After entering a top secret code into the shed door’s security panel, and passing through voice recognition and retina scans, they step inside to be greeted by half a dozen gardeners in wellies. Some use hoes to push around model vegetables on a large allotment blueprint, whilst others are barking orders or tuning into the two-way radio awaiting further instruction. At the moment, we have regular excursions to our sleeping giant, plot 23d, where it lays undisturbed under its thick blanket of manure, enjoying its rest and growing strong and fertile for spring. The days are slowly getting longer and soon we’ll all be moaning about slugs as we do every year. But it’s also been a week of celebration for three reasons. Firstly, keen to keep busy on the plot, I built myself a compost bay. And if I do say so myself, it’s not too bad. Not only will it hold the compost, I’m also hoping to grow a few squash plants in it later in the year (a tip I picked up from Gardeners’ World!). Secondly, we harvested and ate our bijou Brussels sprouts! And although they were nearly lost on our dinner plates (they looked like peas!) they still tasted fantastic. And thirdly, I’VE ALREADY SOWN THE FIRST CROPS OF THE YEAR! That’s right, last weekend I sowed both the chilli seeds (F1 Gusto Purple) and pepper seeds (F1 Gypsy Hybrid) into their propagators and placed them on the windowsill. And like an over-fussy mother I’m checking them regularly, ensuring they’re happy and convincing myself I can already see shoots. A few years ago we began growing peppers but always found they never really got going until late summer, so it was always a race against time to get any fruit. However, in one of those special father and son moments when my dad saw me staring enviously at his bumper collection of maturing peppers a couple of years ago, he let me into his little secret: ‘Son, I always sow them just after Christmas’. Early sowing is key. Finally, the apprentice becomes the master! Since then I’ve never looked back. Winter might be biting, but inside I can already feel the warming glow of spring. Let us know how it goes Helen! Best of luck, Steve, be good to hear how you get on! Many thanks! It’s currently my pride & joy, I’m easily pleased. Yes I too had compost bay envy. I used to have it every time I’d come onto the allotment and see various plots with different shapes and sizes of bays. I couldn’t take it anymore, had to get one myself! I am LOVING the compost bin…and the plan to grow Squash in there. My neighbour has a bin like that and it gets so hot! I also like anything which uses old pallettes. I actually have some raised beds made from them. Thanks Karen. It’s all about re-cycling. I’ve never grown Squashes like this before so I can’t wait to start. 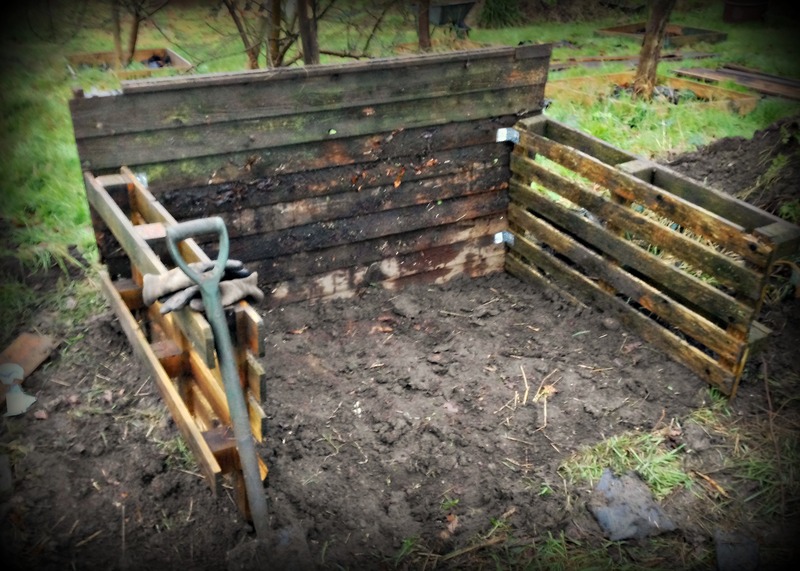 Would love to see a photo of your raised beds, I think using the pallets is a great idea.